This meme was started by Books by Proxy, whose fabulous idea was to compare UK and US book covers and decide which is we prefer. 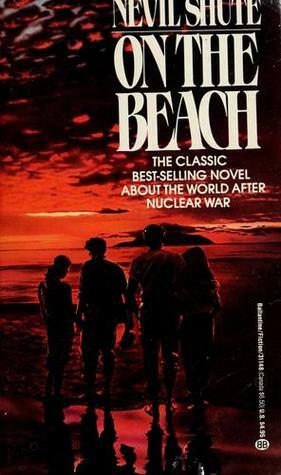 This week the theme is the beach, so I’ve chosen Neville Shute’s famous apocalyptic novel On the Beach. This cover, produced by Vintage Classics in September 2009 isn’t the best of covers – the design is rather art deco and given this book was set in the near future – 1968 – it hasn’t the right period feel. The cool, calm colours are also rather too placid and cheerful for such a grim, shocking book. However, it is attractive and eye-catching, which is a big plus for a book cover. This cover, produced in August 1975 by Ballantine, is much better matched to the subject matter. The red and black cover very effectively conveys the sense of threat and I like the seascape – so often an image of continuity and comfort – as a backdrop. This is my favourite cover. 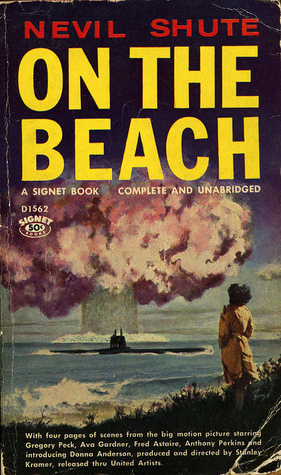 This rather battered offering is the cover published in February 1960 by Signet and refers to the film of the book. 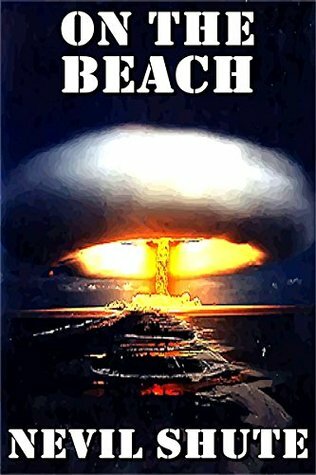 I find the idea of the girl standing on the beach, staring at the mushroom cloud blooming over the sea somewhat unrealistic, but at least it directly relates to the subject matter. This Kindle edition, produced in February 2016, is effective. The dark colours and violent explosion is eye-catching. I also like the font styling which gives a nod to the period, while avoiding those solid boxes of black that used to surround titles back when the book was first published. 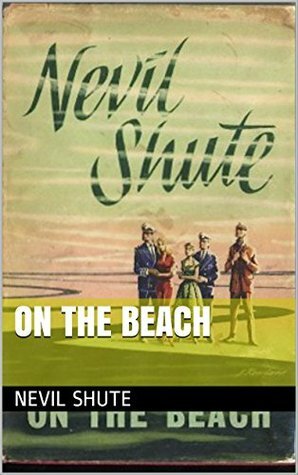 This is another Kindle edition, published in September 2015, which uses the original cover when the book was published back in 1957. While I think it is both eye-catching and attractive, it isn’t anything like grim enough. That said, the book was regarded as very shocking when it first came out and I think Ballantine, rightly, didn’t want to put off readers by confronting them with something that looked too forbidding. There are a lot more covers out there – but these, in my opinion, were the pick of the crop. Which do you like best? I really like the Kindle 2016 version. I have an old copy of this book somewhere, but I can’t remember if it’s any of these covers. I feel like it’s completely different, which makes sense because you said there are many other covers out there! 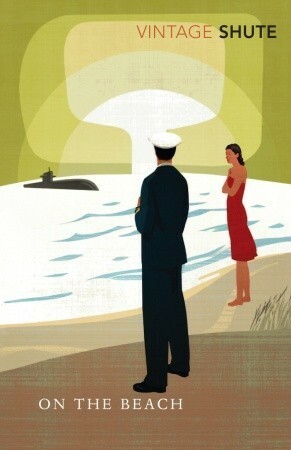 I’m most drawn to the Vintage cover as I love the style but I agree that it doesn’t show what the book is about. I think the 2016 Kindle cover probably gives the best indication of what the book is about while still being eye-catching. Just the thought of this book gives me the shivers though – I read it when I was younger and I can still remember how scared I was as I was reading. Yes – it was a horrifying read, wasn’t it? Totally agree with your choice. It immediately jumped out at me when I initially scrolled down. Very eye catching. Yes… and those were the best of the bunch. Some of the covers were simply dreadful! Neither of the covers really grabs me, but I think the first two are the best, design-wise (though the second is a bit too dark in my opinion). I’ve never heard of the book, but you got me curious.